Savino appears to have solved the Dionysus-old problem of how to keep your wine around longer without re-corking your bottle, placing your wine glass in the refrigerator, or the unthinkable of pouring the contents down the drain. There are a plethora of products out there meant to cork your open wine bottles, but do any attempt to recreate the environment of the original bottle? 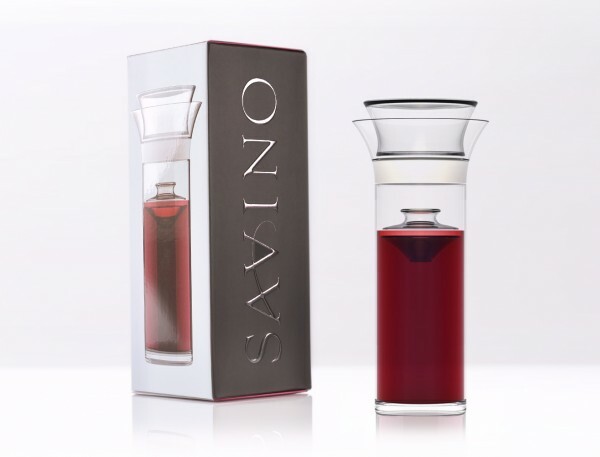 Savino, a brand that originally debuted with a successful Kickstarter launch in November 2012 and appeared at the 2013 Nightclub and Bar Show in Las Vegas, appears to solve this Dionysus-old problem of how to keep your wine around longer without re-corking your bottle (ghetto, and you'll never find where you put it), placing your wine glass in the refrigerator (inefficient, takes up valuable space meant for gourmet leftovers) or the unthinkable of pouring the contents down the drain (irresponsible, even if it is $2.50 Buck Chuck). The genius factor of Savino is the 'float' component which creates a physical barrier between oxygen and the remainder of your wine while still allowing you to make a pour from the device. Representatives from the company state that it is this innovation that will will allow you to keep your remainder bottle of wine for seven more days. And because we know our FOODBEAST audience oh so well -- we're also assuming that's about six days and 12 hours more than you needed. At least now, you can feel safe and secure about it.